Guy de Jonquières is a Senior Fellow at ECIPE. His current interests and research focus particularly on international economic policy and Asias political economy. He was previously a journalist with The Financial Times, where he spent much of his career working, living and travelling extensively in North America, Europe and Asia. He served in Paris, Washington, New York, Saigon, Brussels and Hong Kong as well as specialist correspondent covering international IT industries. He has also been The Financial Times world trade editor and international business editor. Guy de Jonquières has extensive radio and television broadcasting experience, principally in the US and in Europe. He is a frequent guest speaker and chairman at conferences. He has participated in events organised by the United Nations, the WTO, the OECD, the Salzburg Global Seminar, the Asian Development Bank, the London School of Economics and the World Economic Forum, as well as by research institutes, business schools and multinational corporations. 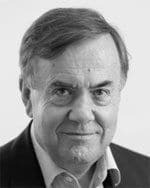 In 2001, Guy de Jonquières received the BP/European University Institute prize for essay on transatlantic economic relations, and in 2007 he was awarded as the opinion writer of the year by the Society of Publishers in Asia. China in the Global Economy: Leaping Dragon or Paper Tiger? Is Power Really Shifting to China?